As a small business owner, one of your jobs is to make sure you have enough cash on hand to pay your bills. A true indicator of the health of a business is cash flow, the money flowing in and out of the business. This money includes that from sales, expenses, debts collected, credit extended, and investments. You can predict the future success of your business by tracking your cash flow. One way to keep the cash flowing is with your receivables – the money you generate every day from the homes you service. It used to be that residential cleaning was paid by cash or check, but today we have more options thanks to the Internet. How you define your payment options can be crucial to getting paid. You may decide to have different options for your customers, but keep in mind this may make it more difficult for you running a busy business. When taking on new clients, it’s fairly standard procedure for businesses to perform a deep cleaning to bring the home into your business standard. The home is then maintained to this standard in the recurring service. The deep cleaning is an estimate of the time it will take and requires additional hours on your calendar. For this reason, many businesses ask for a deposit to retain the scheduled date with the remainder due for the actual man hours at the completion of the work. A common business practice is to reward early payment by offering a discount for customers who pay within a predetermined time period. For instance, if a client has regular appointments you could require payment in advance, but what happens when it’s not received? Your policy should cover this situation. To stimulate faster payments, your could offer a 2% discount if the payment is made within 10 days. If this becomes the “norm,” you could raise your rates to cover the offset. Homeowners are usually on-time with their payments, but you may have a few strays. These are people who either forget to pay or want you to continue service even though they are behind in their payments. You should have a policy in place that you enforce immediately when customers are late with their payments, such as when they forget to leave a check or they forgot to send you their payment. Address the issue immediately with the customer and remind them of your policy. Part of your policy could be to charge interest on unpaid balances. Here’s more collection strategies that work. You can upgrade your business to a maid service software or you can automate your invoicing with automatic payments. When selected, your client will be sent an invoice or request for payment for the frequency they use. Your policy should cover what your response will be if payment is not received within a specific number of days. Take the precaution of getting your customer’s credit card number and add it to their account record in case a payment is not received. To generate quick cash, give them a discount for selecting one of these billing options. Your discount could be 10% or more. 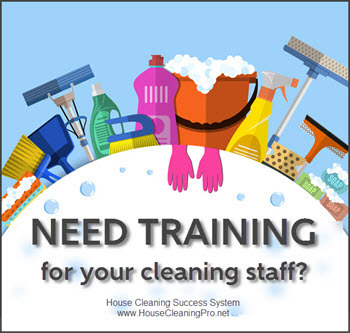 Is Your House Cleaning Business Taking Too Much Time and Not Earning Enough? You already have an advantage over many business models in that you have customers who have signed up for regular, ongoing service – that’s as close to a guaranteed income as you can get (unless someone cancels, of course!). Wouldn’t you like to earn more? Residential cleaning has its seasons; all the holidays and spring cleaning are high income months. Then the summer comes when your gross receipts will fall off in some areas of the country. Your most profitable “seasons” are a good time to plan for the future and consider any improvements you want to make to your business. You could hire on more staff to cover more jobs, invest in new equipment, or upgrade to new business software. This generates more income for your business and your employees. It also prevents your customers from finding someone else to do the work. Before offering add-on services, review your current insurance policy with your agent to be sure you’re covered. 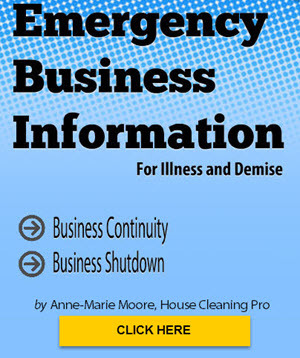 Many house cleaning services sell the products they use. 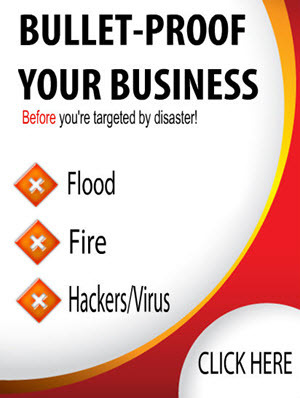 You can advertise them on your website, your social media pages, and in special eMail offers. But, don’t stop there. Find other things to sell that your homeowners want, need, and appreciate. Pay attention to your customers – get feedback – ask them what other products and services they need. Vacuums used in residential cleaning need constant maintenance. I used to keep mine when they wore out and used the parts for future maintenance. If you’re upgrading your equipment, consider selling it. You could place it for sale on Craigslist or eBay. 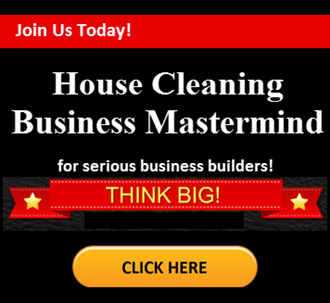 Don’t forget the cleaning contractors who might be interested in buying what you are selling. If you have space to buy your products in bulk, this is a good way to save money. Ask your supplier for their discount rates. If you don’t have the money for larger orders, consider giving your customers the prepayment options, above to generate capital quickly. Keep a close eye on your cash flow and your quotes versus actuals. If you’re not quoting effectively, you’ll lose money. If a client is adding furniture, pets, and/or people to the home, you could lose money on the actual time it takes to complete the job. Don’t let this go too long. Identify why the home is taking longer and look at options you can offer your client. For example, if soap scum is a problem on every appointment, you might want to discuss the issue with your client and give them options before you raise their rate. Raising rates should be a last option and only implemented when needed because you need justification for raising customer rates. The price of gas is a good reason to raise rates and something your clients can understand. Raising rates without a good reason could get you a cancellation if your customer can’t justify it in their mind. Need help planning? Check out how to increase your profits – I’ll help you get it done!